Some of my favorite things for breakfast is different types of sweet bread. Pumpkin bread, banana nut bread, and cranberry walnut bread are definitely at the top of my list. Usually, I just go to the local coffee shop to get a slice or Trader Joes to get a loaf. However, I thought how nice it would be to make my own banana nut bread. I was nervous because when I have a slice of sweet breads I judge them on how moist they are. Some are a bit dry, so when looking for a recipe I really wanted one that I felt would do the trick. In honor of the Top Chef season starting with new judge Emeril, I decided to use his recipe with a few changes. I really wanted the banana flavor so I added a little more banana and a few extras to bring some more flavor. 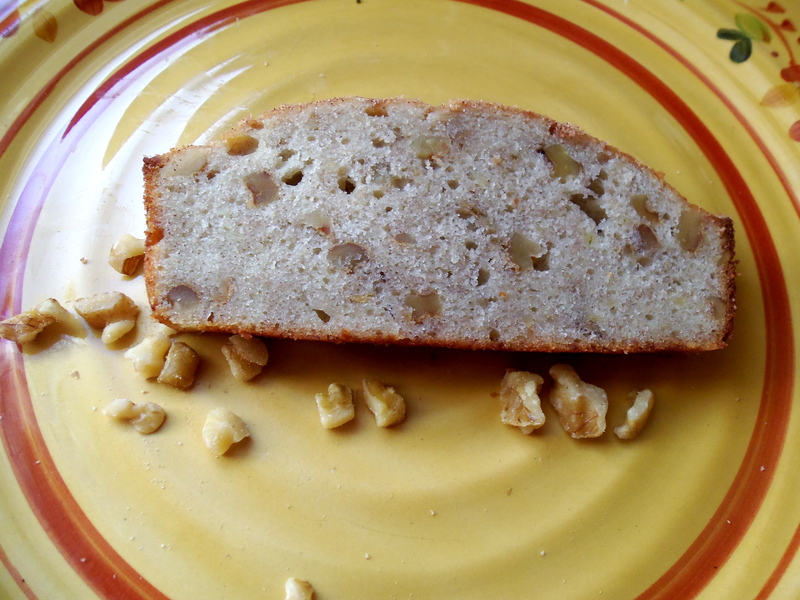 Keep reading to find out the recipe I used to make this moist banana nut bread. (1) Preheat the oven to 350 degrees. 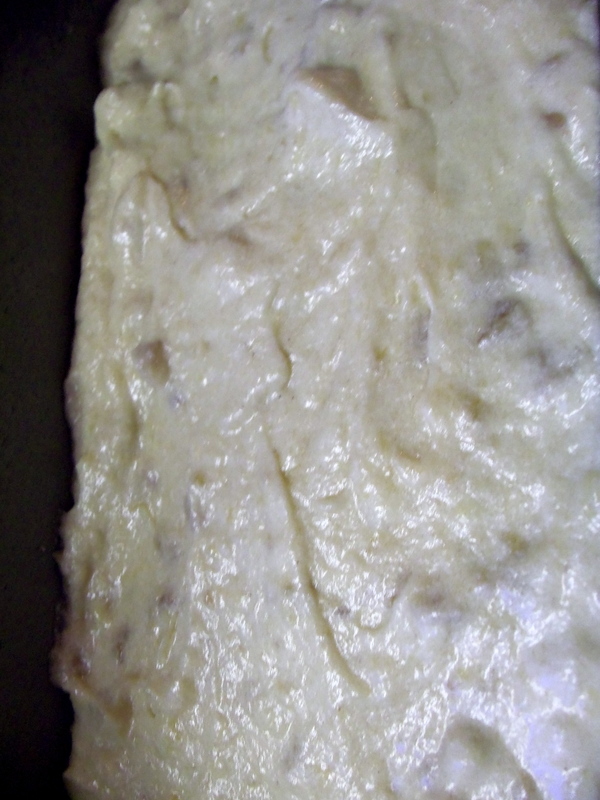 Grease a 9×5 inch loaf pan. I like to use the Wilton Bake Easy spray. Additionally, I like to put a slice of parchment paper on the bottom of the pan. I cannot tell you how easily the bread just popped out of the pan. (2) Using a mixer, beat the butter until creamy. Add the sugar and beat until fluffy. Add the eggs one at a time and beat until combined. (3) Lightly mash the bananas in the peel then put them in the butter and egg mixture. Mix well until the bananas have broken up and are mixed well into the dough. Add the vanilla and mix until combined. (4) Add the baking soda, flour, nuts and cinnamon and mix thoroughly on a low speed. The dough will be sticky. 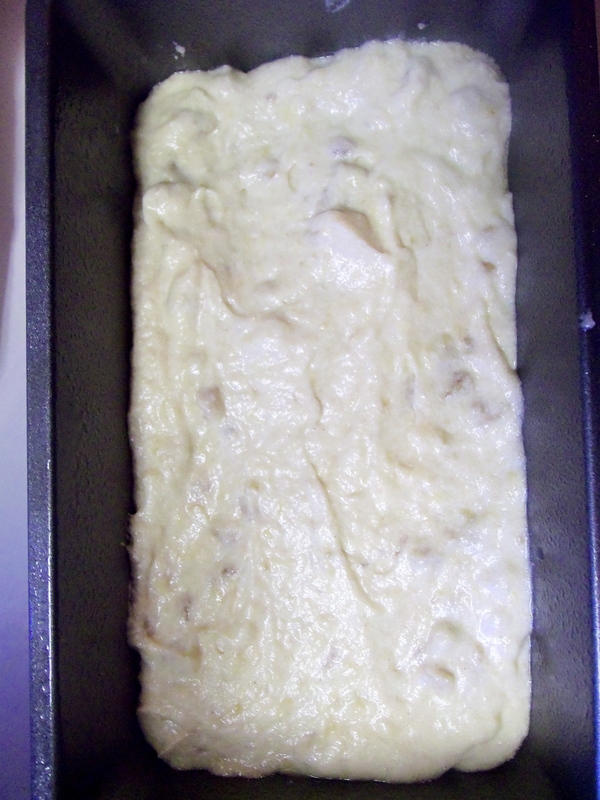 (5) Pour the dough into the prepared pan. 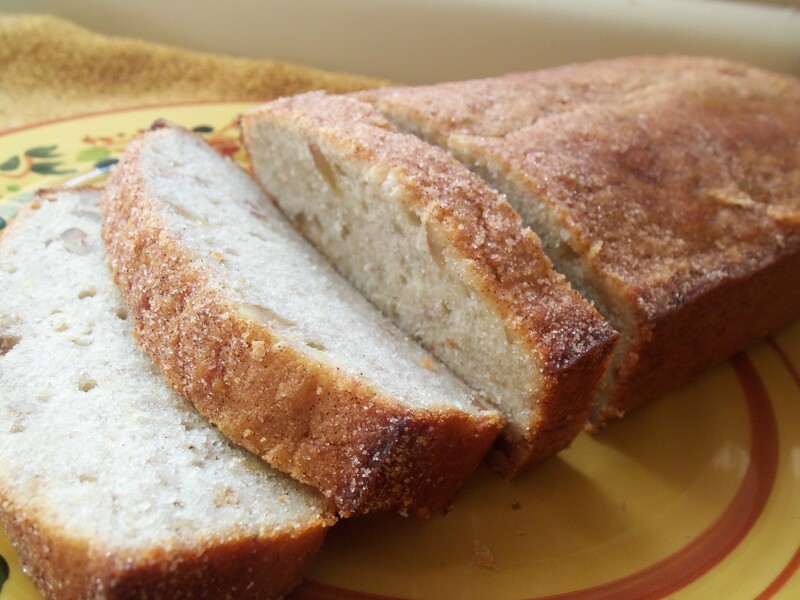 Sprinkle the two tablespoons of cinnamon sugar on top of the dough and bake approximately 45 minutes or until the bread is golden brown and a fork or toothpick comes out clean. Remove the bread from the pan and let cool on a rack.